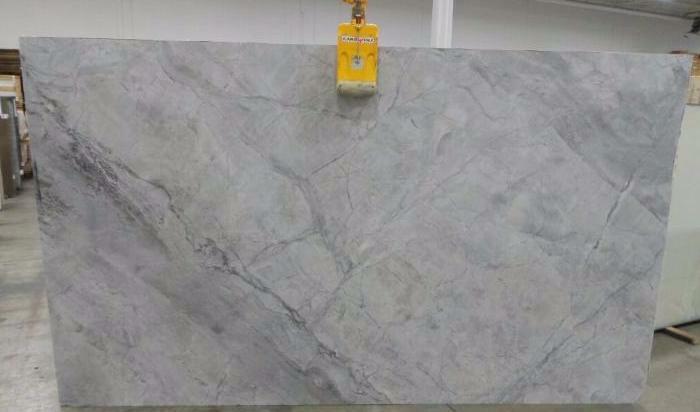 Direct from the Super White quarry, Marble Trend just received a magnificent shipment of this natural quartzite. Super White™ is prominent for its balance between grey and warm tones. Quartzite products are recognized for their durability, and can be used for a variety of residential and commercial applications. It is commonly used for backdrops, countertops, tables, islands, floor applications and more. There is a high demand for this particular selection, so we encourage you to contact us about Super White™, while stock is available. Please contact your Marble Trend sales associate with any inquiries.